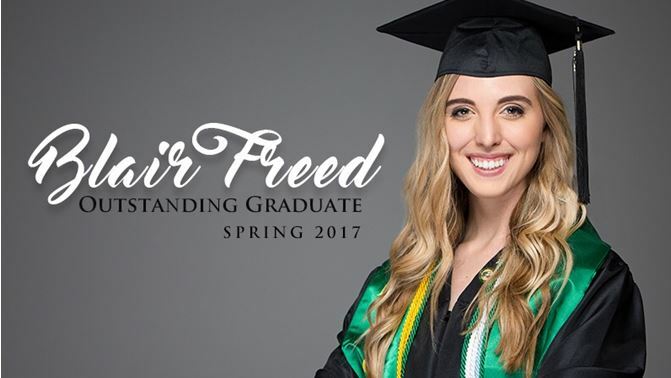 The spring semester proved to be an exciting one for Blair Freed, who was not only named 2017’s Outstanding Graduate, but was also among those accepted into the first class for Kansas City University of Medicine and Biosciences’ new Joplin medical school. Freed, who graduated with a degree in biology with an emphasis in pre-professional health, said Missouri Southern was her first choice when considering a pre-med program. For more about her experiences at Missouri Southern, check out the video below.